I’ve been working away at the Fredrick & Anne scarf for a Mother’s Day gift for my mom, and I have made it over half way there. But, that’s not the kind of stitching we’re discussing this week! Call us crazy, but we live at the bottom of tornado alley, which lived up to its name two weeks ago. Thanks to Roy, Moss and Jen of The IT Crowd for giving me their undivided attention while I gabbed on about my iMake giveaway winnings from Stitchtastic. Take a peek at the Computer Sayings Cross Stitch Kit that I chose. 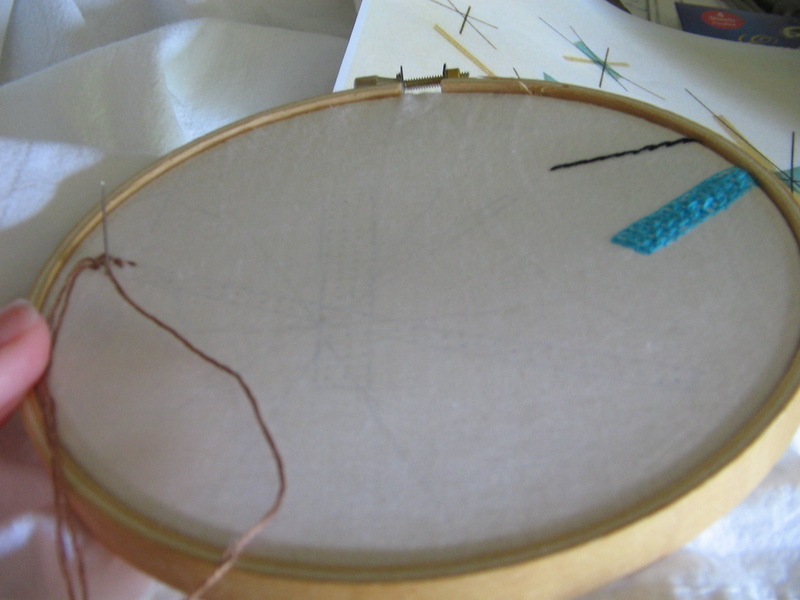 If you’re looking for some more saucy or modern cross stitch patterns, check out Etsy sellers Bombastitch, UCLADoc, and New York Needleworks. My Southern soda of choice? 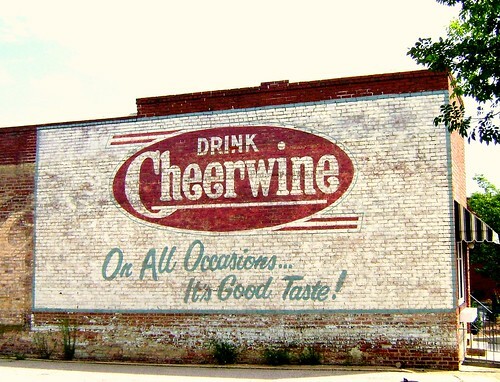 Cheerwine. Period. I managed to make it out to the vendor show at the DFW Fiber Fest, where I purchased 8oz of a gorgeous 80% Merino 20% Silk roving from A Twist in Time. 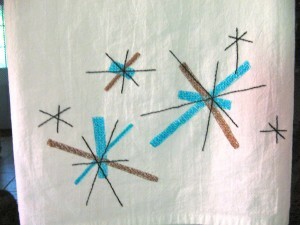 My atomic embroidery tea towel project was based the Salem North Star china pattern. I’m pretty pleased with the way it turned out! 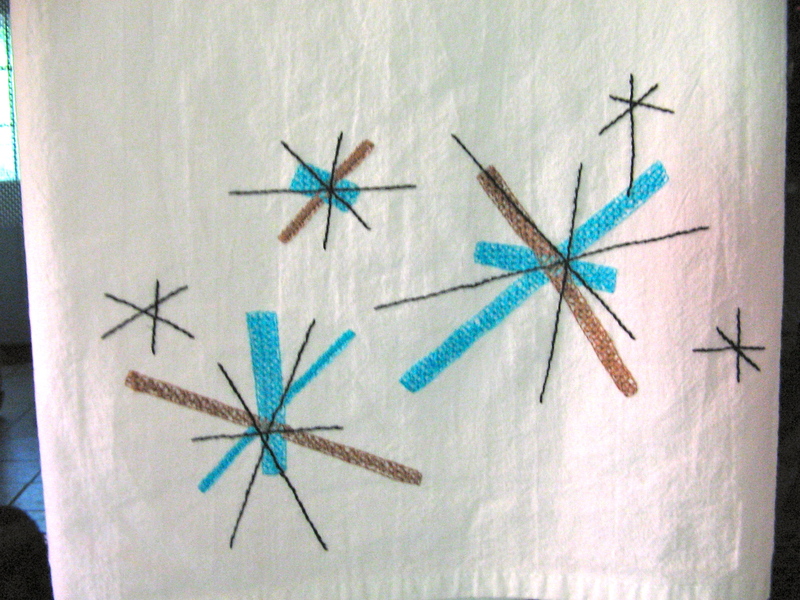 2 Responses to "CraftLife Episode 22 – Sampler"
I love your tea towel! I don’t know if that is something I can do, but it looks so good I’m willing to try!